Happy Wednesday, marblelous! 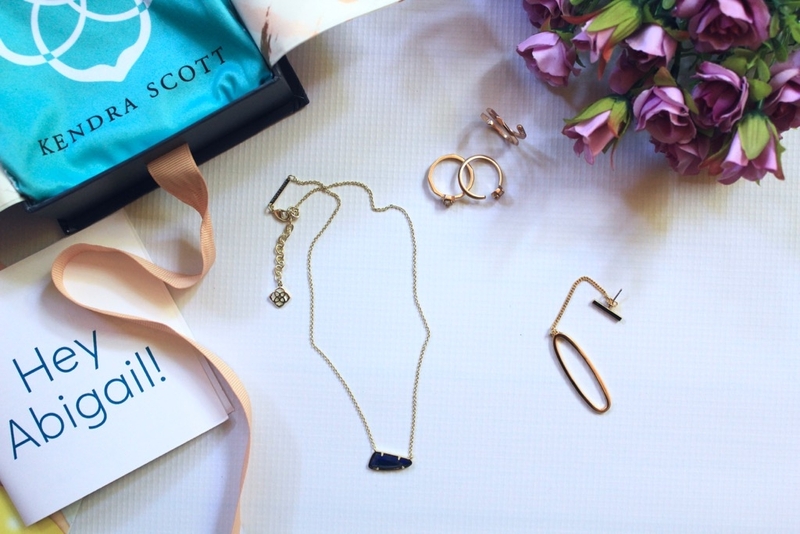 I have recently fallen in love with all things Kendra Scott. 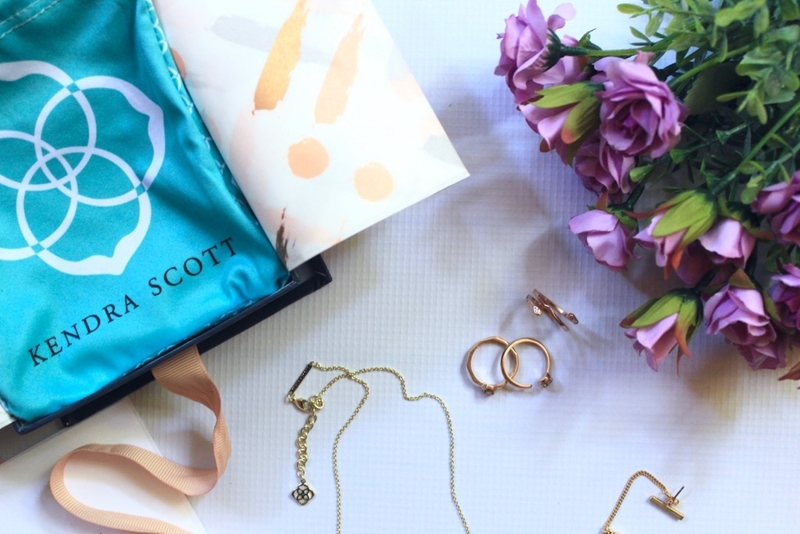 To be honest, I am quite surprised that I have grown to love Kendra Scott’s jewelry so much as I am definitely more of a statement pieces kinda girl; but all of her jewelry is so delicately beautiful, unique, modern, and classy. I think what appeals to me the most are the drusy and natural stones found in her jewelry, especially on her cuff bracelets, rings, and stud earrings. Oh, and her necklaces, too. Wait, that is pretty much everything. Ha! Help, I have a problem! I have been eyeing the Warren Ring Set in Rose Gold Drusy, but I just couldn’t bring myself to spend 75 dollars on mere three rings. So you can imagine my delight when I opened my new set of Rocksbox and discovered this ring set in it. I was ecstatic! This ring set is even more gorgeous in person and those shiny sparkles had me purring “my precious” like Gollum from Lord of the Rings. Besides my precious, I also received Kendra Scott’s Etta Pendant Necklace in Lapis. This necklace is so dainty and I adore the asymmetrical cut of the stone. I also scored Jenny Bird’s Slant Ear Cuff in my Rocksbox. 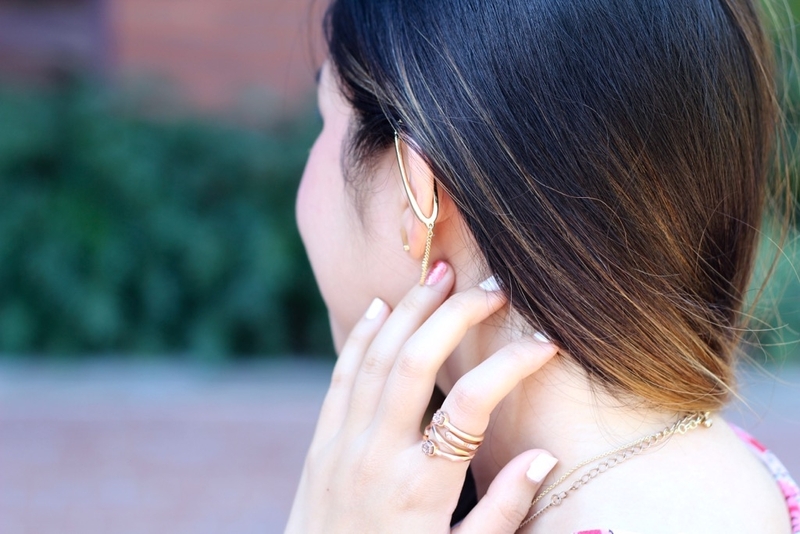 It is my first time trying out an ear cuff and I am IN LOVE! I love how it is such a simple concept but yet it instantly gives my whole look a slight edge. I must say that this set of Rocksbox is a huge winner for me. I love everything I received and I am so glad that my stylist really listened to my feedback and took the initiative to select jewelry items that I have been wanting to try. If you are interested in trying out Rocksbox, you can get a whole month completely FREE with my code MARBLELOUSLYPETITEXOXO at checkout. There is no catch and you can cancel at any given time – even after your first free month! I love all of these dainty pieces! I definitely want to try Rocksbox! Thank you so much, Sarah! <3 It's a peplum top! LOVE that ear cuff on you! And I literally laughed out loud and the gollum reference, because I could totally see myself do that with rings like that! Such a fan of Rocksbox! Thank you, Emily! <3 haha I am so glad that you appreciate that Gollum reference!! Haven’t tried RocksBox yet but this looks amazing! 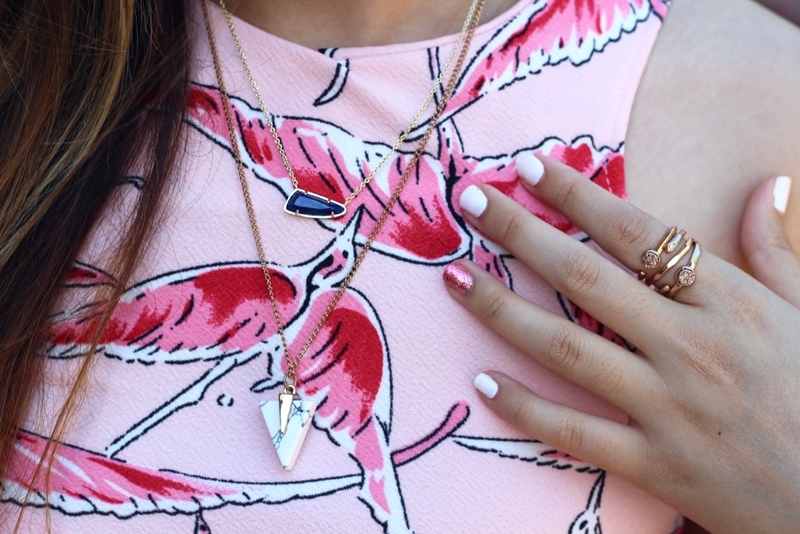 Love that marble arrow necklace too! Thank you, Lauren! <3 You definitely should, you won't be disappointed!! Thank you, Nicole! <3 I am obsessed! This is gorgeous!!! 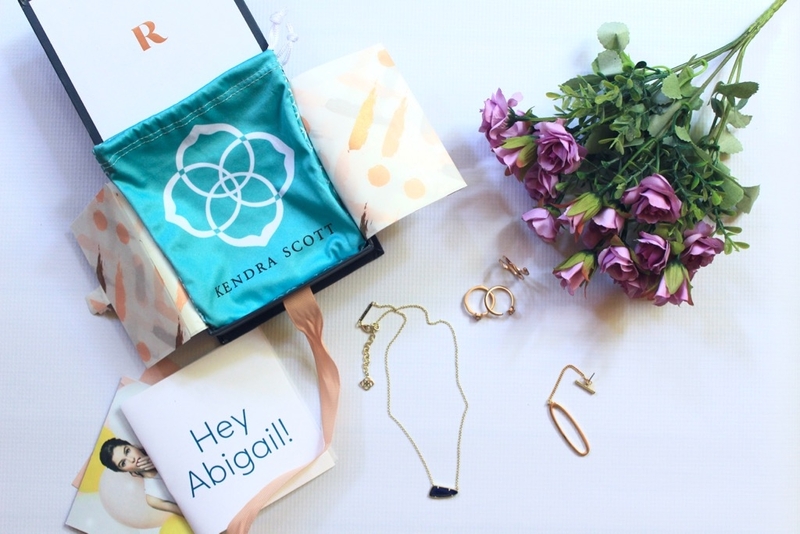 I’ve loved everything by Kendra Scott that I’ve received in my Rocksbox! Thank you, Mackenzie! Kendra Scott’s jewelry is so timeless! so pretty, love the rose gold jewelry! Thank you so much, Toby!! You are so sweet! Thank you, Roselynn! <3 I did my nails myself so you are definitely super kind! YES! I love Kendra Scott so much! 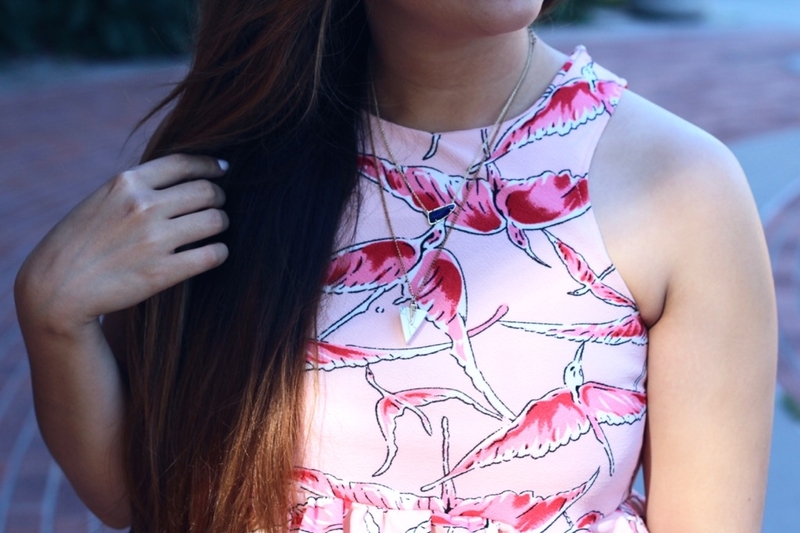 I’m so in love with the marble detail on that necklace pendant!